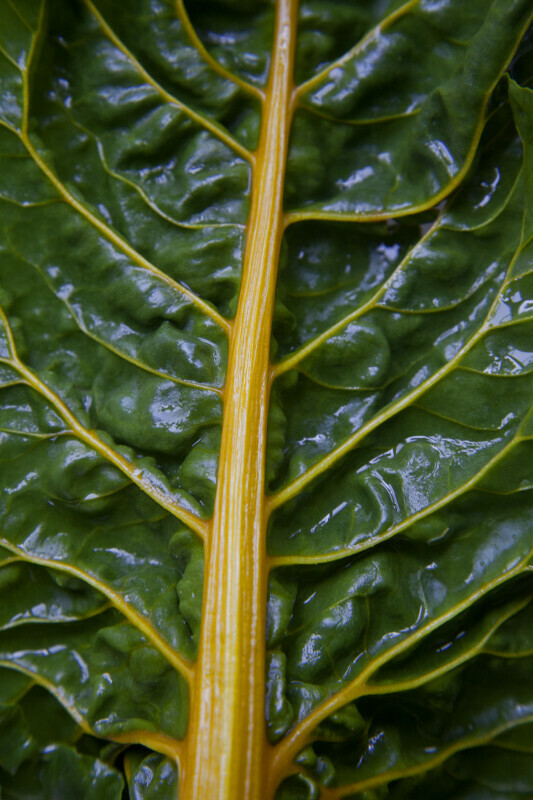 This photo gives a close-up view of a Swiss chard (Beta vulgaris subsp. cicla) leaf with a golden stalk and veins. Swiss chard contains high amounts of vitamin C, E, and K.